Will “Quantic” Holland is a man with a well-travelled backstory in music. Having risen to prominence with the surge of downtempo productions of the early ‘00s, he quickly distanced himself from the pack by journeying into a broader palette of sound beyond the limits of dusty samples, beats and breaks. 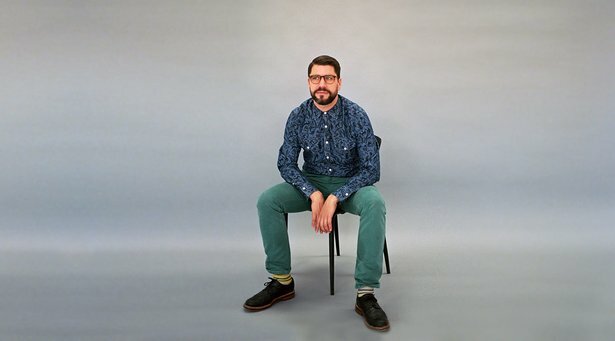 With the kaleidoscopic bombast of the Quantic Soul Orchestra and his long-standing work with British soul sister Alice Russell, Will has proven himself to be a composer, arranger and producer of serious note, not to mention a worldly adventurer who draws on the sounds of Latin America, Africa and beyond. Now Will is sharing his latest creation with the world, and it marks his first solo album in eight years. Magnetica is a return to more electronic methods of production that loses none of the lush, exotic instrumentation that the celebrated producer has built his career on. As he prepares to take his new songs on the road, Oli Warwick caught up with Will to discuss some of the practices and processes that went into making the music, where he went to get the sounds, and how he plans to present it all on stage. So Magnetica is finished and ready for release. Is the album about bringing the focus back to an electronic approach to production? Yes, I think so. I’ve always continued to be involved with electronic music and spinning electronic music as a DJ, but I just stepped away from making it. I guess by saying “club sound” you always come off as if you’re making big room dance anthems, which isn’t the case, but I think it’s about getting back to an electronic approach with a certain amount of musicality and groove that I’ve learnt with the live stuff. It very much sounds like a Quantic record in terms of having lots of live instrumentation. Would you agree that the electronic elements are quite subtle in the album? I think more and more there’s an ability to make electronic things sound natural and there’s a way of making natural acoustic elements sound electronic. I can easily transfer something, play it on a live instrument and then make that more synthetic and vice versa. Making beats can be quite awkward and you have to massage it a little bit until it sounds fluid. How did you approach song-writing for the album? To give you an example, “Spark It” has got drums in it which are sampled from a record and cut up and spliced using a Drum Rack. Then I have this Univox drum machine which has got this old school, ‘70s, rudimentary sort of sound, and then there’s some synths in there like the PolySix plugin from Korg. Then I recorded some skanks in from my guitar, and I recorded piano skanks from an acoustic piano and then the vocal element I recorded in Los Angeles on Ableton with Shinehead, and the sax was recorded in Bogota. Then I did several mixes. I had a little console with an external Space Echo and a Fairchild, a Moog and a bunch of other stuff, and then I paired the two mixes I most liked left and right in mono and then we cut that to vinyl and recorded it back in with a Shure V-15 stylus at The Carvery, my friend’s cutting spot. So that’s the journey of one song and it has lots of different mediums, instruments and sources as well. Were you working on each track one at a time? I’ve had all the songs open throughout the time so there’s no one song I fully committed to. I was slowly, slowly chipping away at them so where one song ended I’d start another and then when I’d learnt something or I felt there was something missing from the previous song I’d go back and have another attempt, and that could be a blessing and a curse because there’s just endless revisions. There is an impressive array of performers who contributed to the album. Was it a case of recording these snippets or sessions whenever you were in a particular place with a view to working them into your music at a later stage? Yes and no. There’s one track on the record with Thalma De Freitas, a song called “Águas De Sorongo”, which I had as an idea from this recorded guitar loop to which I added some beats on Ableton. I met this really cool percussionist called Duane in Rio, so we got together in a studio and recorded the percussion. I had already sent the idea to Thalma and was going back and forth with her about having her sing on the song and we ended up recording the song in her living room. I was travelling with this little AKG microphone, and wrapped some muslin gauze around it as a little pop shield element. Then I went back to Bogota, worked more on the beats and then ended up sending the track to Miguel Atwood-Ferguson in Los Angeles for him to record a string arrangement. I can’t just turn up with the singer and go, “can you sing something and then I’ll work on the song afterwards?” but often I have a harmonic starting point, record the singer or record some horns, and then just take the carpet away from under it and replace it with something completely different. Is Latin America is still very much a focal point as far as influences and inspiration goes for you? I always saw Latin America as having a very disciplined rhythmic catalogue, so to speak. For somebody interested in rhythm it’s a really amazing place because every country and community has a rhythmic discipline. In Columbia alone there are so many rhythms and so many different styles. I like the way the rhythm precedes the song somewhat, rumba rhythms, cumbia rhythms, tambora, these are all musical styles but the rhythm is what precedes it. Some of the traditional percussion on a track such as “Duvido” is very off grid compared to the electronic beats. Is that quite purposeful, to juxtapose the rigidity of the programmed drums against the looser organic material? There’s a lot more 6/8 on this record. With those rhythms there’s a lot more things that sit on the passing of the bar, which gives it this rolling effect. I really like that idea that nothing really sits on the one, because there’s a tendency with Ableton that everything is on the one and that’s something I really don’t like. How much do the traditional instruments end up informing the electronic elements? Do the tunings of certain drums dictate the tuning for the rest of a track? You do have to adapt to the instruments. On “Duvido” I was starting off with a backing idea that I took to the marimba player and I know that his marimbas are in C major so I had to prepare for that. Often that also happens with singers, and I think for “La Plata” on the record Nidia was struggling at first just because it was just a little bit out of her range, so we had to bring it down a little bit. You have to find the sweet spot with a singer. A singer’s range I think is very important. To use Alice Russell as an example, because you two have worked together for many years now, do you feel you know her vocal range intuitively in terms of the music that you make together? Alice’s range is probably the best range of a singer I’ve ever worked with. She’s never once asked me to change the pitch of the song. That’s why it’s so great to work with her because she can sing so high and she can sing really in key and she’s got a tremendous range on the top of her voice and then she’s also got a great range on the bottom. Sometimes working with more traditional instruments, you have a lot more micro-tones as well. Not everything is exactly in tune so if I’m tuning an instrument in a session I’ll just do it by ear to a keyboard or something rather than just tuning it exactly with a tuner. I think it pays for everything to be slightly out of tune with each other. When you were working on Magnetica, were you consciously trying to not have your head buried in the computer throughout the production process? There’s often this celebration for the technical geeks and a focus on the actual process, when actually the results and what you’re listening to is more important. Sometimes there’s an over-focus on technology and less of a focus on actual musicality. It’s like haute couture fashion; there are only so many garments you can make that people are never going to wear. As a musician you’ve got to make music that people want to hear too. So, do you enjoy some of the simpler, functional elements of software as opposed to complex tasks and processes then? I don’t think I’m doing anything in Ableton that’s particularly complicated. The reason I use Ableton is because it does it very quickly, accurately, efficiently and I trust it. I might get more into complex things like groove translation, but then even things like that are very easy actions in Ableton. The other thing I realised is that translating your music into a live show is a lot easier. How much control are you giving yourself with your live set? Are you keeping it quite open in terms of the direction you can take the music? It’s all varied. The more complex arrangements are probably staying as is with some manipulation, while the drummer plays some of the drum parts as it’s just easier to transfer over to him. Sometimes I want it to feel really live, and then sometimes you just need to have more of a backing track approach. You’ve mentioned before that the Launch box and Follow Actions have been of particular use to you in putting this live set together. How do you apply that to your performance? For instance if there’s an intro part that I play on, so let’s say it’s an eight bar intro to a song and then the beats come in, if I’m playing keys or if I’m playing a guitar at that time it would be hard for me to trigger that. That would be something that could easily exist in one loop, but the difference with this is that I can have it defined. Let’s say I have an intro section and then a verse; I can play the intro, it’ll pass over into the verse automatically and from there I can trigger the next part of the song. But if I wanted to return to the verse, I can just use a Follow Action to return to it without playing the intro. Something like that is really straight-forward but allows me to map out the arrangement of the song easily and have parts pass over automatically. Do you find those sorts of functions allow you to do more of it by yourself and not need as many hands on deck? I think it does allow you to do that. I think touring is so tricky these days, especially for a small independent producer, economically speaking but also physically and space-wise, so the more you can do like that in a box, you can free it up for having more musicians. With the concept of playing a set arrangement, when you’re doing 16 songs, everyone has to learn the full arrangement and memorize the whole thing. At least in this scenario it’s a little bit more like playing in a band so you can go, “ok, we’re going to go to the chorus now,” and then you cue the chorus and in two bars it comes in, which should be how it is with a live band. As an artist more grounded in traditional instrumentation, is there actually a limit on how much you ever really feel the need to develop the electronic side of your music? No, I don’t think so. There’s always been this massive division between electronic and acoustic and people imagine them to be really adverse worlds and I really just like both. If we’re going to talk about divisions then is it electro-acoustic or acoustic? Are you playing electric guitar or are you playing an acoustic guitar? Is that acoustic drum percussion or is that a sample? I think in general, everything we have to consider now, unless it’s recorded on tape by a live band or live musician, everything is digital, so we’re working in a digital domain and it doesn’t matter whether it’s a live instrument or not.